We’re delighted to be presenting the Manchester leg of The Album Leaf’s In A Safe Place European tour! The Album Leaf have been making its mark as a soft-spoken innovator steadily and surely since 1999. 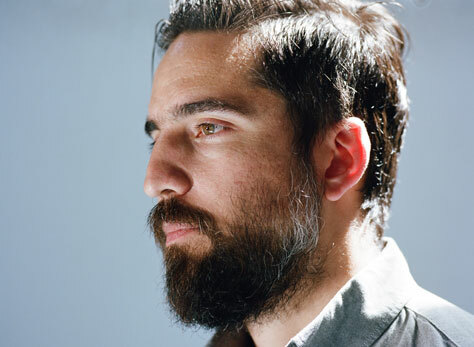 One year after forming the influential San Diego instrumental group Tristeza, songwriter and multi-instrumentalist Jimmy LaValle founded The Album Leaf, a solo studio project turned full-fledged live band. The diversity of The Album Leaf’s music is second only to the diversity of the music that has inspired LaValle through the years – the artist has named everything from German ambient/pysch bands like Can, Cluster and Harmonia to traditional mariachi music, electronic music and Brian Eno as some of his primary influences – and it’s clear that The Album Leaf is unafraid of thinking outside the box, both as an individual artist and within the larger scope of modern music. Over time, The Album Leaf (now based in Los Angeles) has grown from a side endeavour to LaValle’s main focus. The project’s first releases, An Orchestrated Rise To Fall (1999) and One Day I’ll Be On Time (2001), intertwined field recordings, Rhodes piano, and a nuanced treatment of texture with mature songwriting and dense, evocative atmospheres. Following these records, which put The Album Leaf on the map for critics and fans worldwide, Icelandic band Sigur Rós discovered LaValle and took The Album Leaf on tour with them in the US, garnering the band wide exposure and recognition. Following a European and a second US tour with Sigur Rós, LaValle left Tristeza to devote his full attention to The Album Leaf, and soon produced the highly acclaimed releases Seal Beach (2003, Acuarela discos) and In A Safe Place (2004, Sub Pop / City Slang). Since then, The Album Leaf’s influence has continued to grow. LaValle has released two more well-received full-lengths as well as tens of other releases ranging from soundtracks to collaborations with artists such as Bright Eyes and Mark Kozelek, further establishing The Album Leaf as a household name in the world of modern rock music and beyond. The Album Leaf have toured extensively across the globe, and many of the band’s songs have appeared on TV shows including Scandal, Sons of Anarchy, Suits, and more. In 2016, the band partnered with renowned label Relapse Records for the release of the group’s sixth studio album, Between Waves, and first since 2010’s A Chorus Of Storytellers (Sub Pop). The album was born out of a thorough reinvention of LaValle’s creative process and approach: Between Waves is The Album Leaf’s first full-length record to be recorded with the band’s current lineup, and was written with greater emphasis on the group dynamic (the album was also entirely recorded and produced by LaValle and the band). This European tour, however, is a celebration of In A Safe Place, to mark its 15th anniversary.